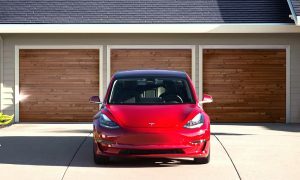 The Tesla Model comes with a great sound system but lacks some basic features that makes listening enjoyment not as great as it can be. One such lack of capability is the inability to shuffle music. An enterprising Model S owner saw the need and created an app to solve this exact problem, and I get to check it out. 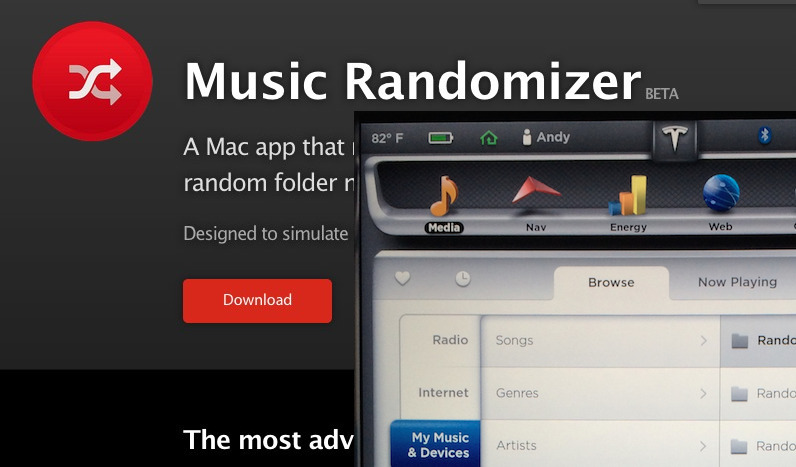 Music Randomizer application by Andy Keller is available as a free download over on GitHub. 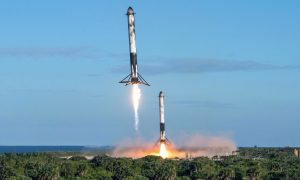 He’s made both the application and its source code open source, however the app itself appears to only be available to Max OS X users at the moment. You PC folks are out of luck. The app is currently unsigned, so if you’re ok with that security model and have permissions to do so, right click, open the app and authorize it to run anyway. The first screen prompts you for an “output folder” which I found to be a bit misleading as its really asking you for the folder that contains the music files to be randomized. The app will shuffle all of the music contained that folder but also at the expense of replacing all of the original source files with the new randomized files. Be sure to keep a second backup copy somewhere before initiating the randomization process. By default the app will create 10 random folders but you have the ability to specify a different count. Clicking “Randomize Music” starts the process. I didn’t really understand what I was doing at first, but as I came to the second prompt and read “Choose a music folder to randomize”, I figured out what the app was really looking for. The randomization process worked through all of my music files to randomize them, but keep in mind that it will replace all of the original songs within your folder with renamed filenames and remove the originals. This is very important to note. 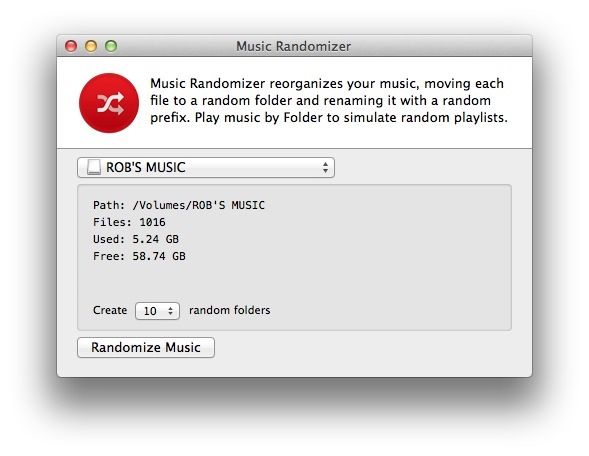 Music Randomizer creates a number of random folders by the name of “Randomizer” with a sequential numeric suffix (ie “Randomizer 01”). The songs are prefixed with a numeric value and then distributed across the newly created folders. The idea is that you have a list of folders and songs that’s different in order from the original list, but the order in which the songs are randomized remains the same each and every time you play that folder. 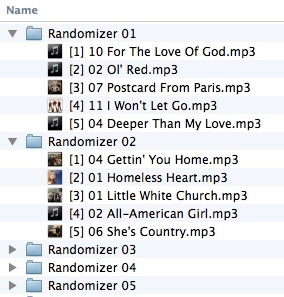 Pick a different folder for a different set of songs. It’s great to see 3rd party app developers creating software designed to enhance the experience with owning a Model S, especially if it’s open sourced and free for all to use. 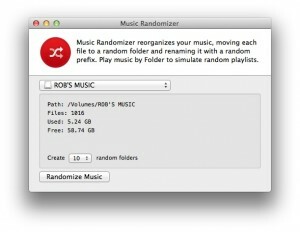 However, Music Randomizer still requires some additional usability improvements before it’s ready for the mass market. The randomization algorithm could also be improved. 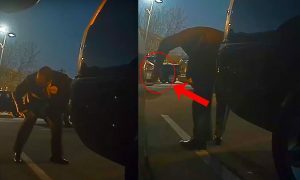 The app needs to provide users with the ability to select a Source and a Target destination instead of deleting all of the original files and replacing it with the modified randomized music file. I realize this is done as a way to preserve space on the USB stick, but in my opinion source data should never be modified. The source structure (folders of music) should also be preserved with the only change being the prefixed filename. My belief is that you should always end up with the same folder names, same number of files, but just ordered differently. 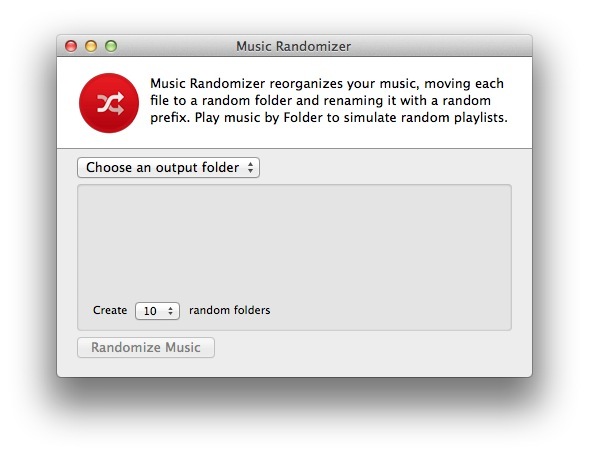 Music Randomizer app works as designed and gets the job done, but I’m hoping the next iterations of the product will bring on a better randomization methodology amongst other usability enhancements. 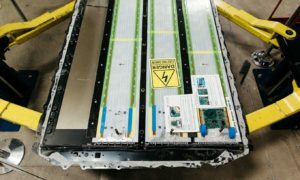 Its great to see app developers taking on projects that could solve shortcomings of the Model S and Music Randomizer is no different. 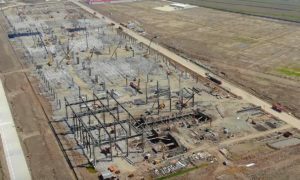 We can only imagine what the Tesla app landscape will look like once Tesla Motors officially opens up the platform developers. In the meantime, keep sending in your apps for us to take a look at and test!